Dr. Kyoung Mi Choi is an assistant professor in the Department of Counselor Education & Rehabilitation at California State University, Fresno. 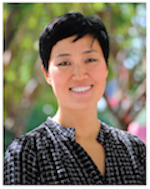 Dr. Choi earned her bachelors degree in Education from the Korea National University of Education. She completed two masters degrees - Masters of Science in Counseling and Master of Arts in International Relations from Syracuse University. Dr. Choi received her Doctor of Philosophy degree in Counselor Education and Supervision from Syracuse University. She has experience working and/or studying in several countries including Korea, Egypt, South Africa, India, France and Bangladesh. She has experience in student affairs, college counseling, clinical counseling, and school counseling. Dr. Choi was named an International Fellow in the National Board of Certified Counselors (NBCC). She has presented at the state, national and international levels. She is responsible for teaching classes within the student affairs and college counseling curriculum, and other courses throughout the curriculum.